What is it really like to be a racer? What is it like to be swept along at 60kmh in the middle of the pack? What happens to the body during a high-speed chute? What tactics must teams employ to win the day, the jersey, the grand tour? What sacrifices must a cyclist make to reach the highest levels? What is it like on the bus? In the hotels? What camaraderie is built in the confines of a team? What rivalries? How does it feel to be constantly on the road, away from loved ones, tasting one more calorie-counted hotel breakfast? 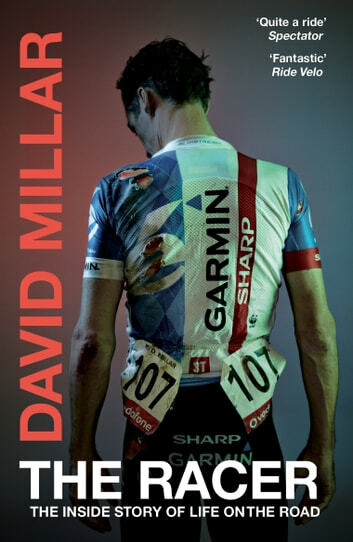 David Millar offers us a unique insight into the mind of a professional cyclist during his last year before retirement. Over the course of a season on the World Tour, Millar puts us in touch with the sights, smells and sounds of the sport. This is a book about youth and age, fresh-faced excitement and hard-earned experience. It is a love letter to cycling.